Your hair is your crowning glory & if you are tearing your hair out (no pun intended) thinking of a nice way to wear it, worry no more, because these New and Easy Hairstyles to Try are here to help. We know women of today lead busy lives and hardly have any time to devote to themselves. Also if you are a working mother, mornings will have very little time in which you can do your hair elaborately in any way. You would want some quick and easy hairstyles that will enhance your natural good looks and not be too much of a hassle. These new and easy hairstyles to try will make everyone go “WOW” for sure. Or maybe you are a girl with free soul – then these Bohemian hairdos are for you. Imagine a ballerina’s hair and twist your hair into a high bun in the same way. Remember not to make it look too neat or combed as messy is the look we are aiming for. You will look effortlessly polished with this off-duty ballerina look. We are right here helping you walk outta your room within minutes and not hours with these 60 hairstyles lined up right here. If you are thinking what is new about a ponytail, don’t be so quick to judge! The volume of this pony will add to your hair will make you never look at a pony the same way again. The trick is to gather them into two bunches and then tease with a comb for fullness. Are you fond of leaving your hair loose? 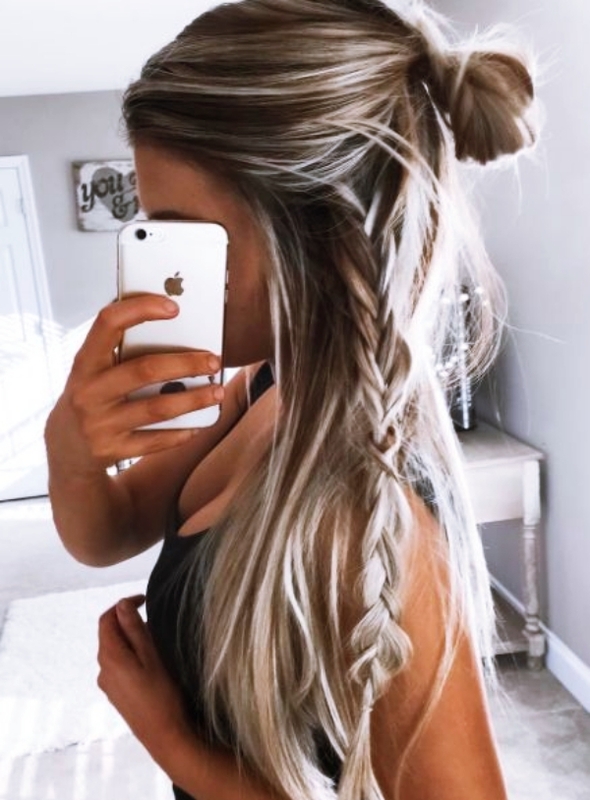 Well give it a lift by gathering a few strands from one side, twisting it and then using some hair slides to hold the twist in place. It’s simple, it’s easy, and it definitely is not boring. Some more half-up half-down to make your hair dress like a crown! Look all grown up and mature with this half up and half down do. Gather the front of your hair into a ponytail and then loop the edge of the pony tail through a hole in the hair above the elastic. 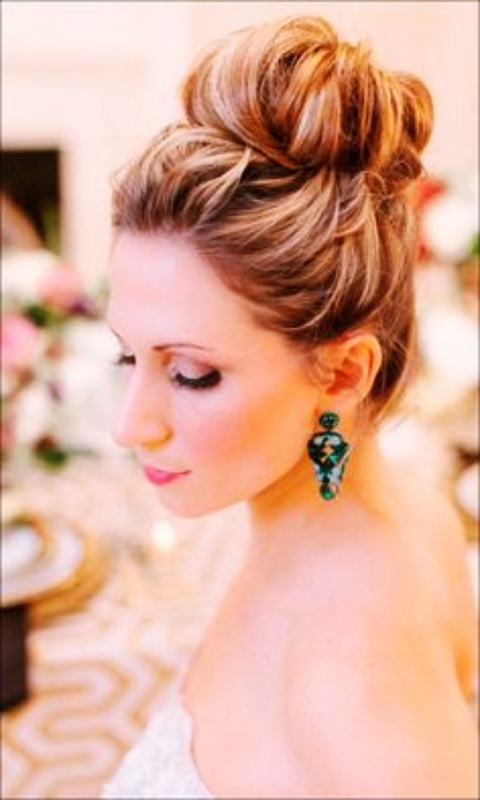 Make a low ponytail, and then twist it into a chignon, using bobby pins to hold it. Leave the bottom part of your hair loose to create that newness in your hairstyle. Whether a prom or a romantic and royal date night by your prince of hearts, this hairstyle is surely beyond perfect. 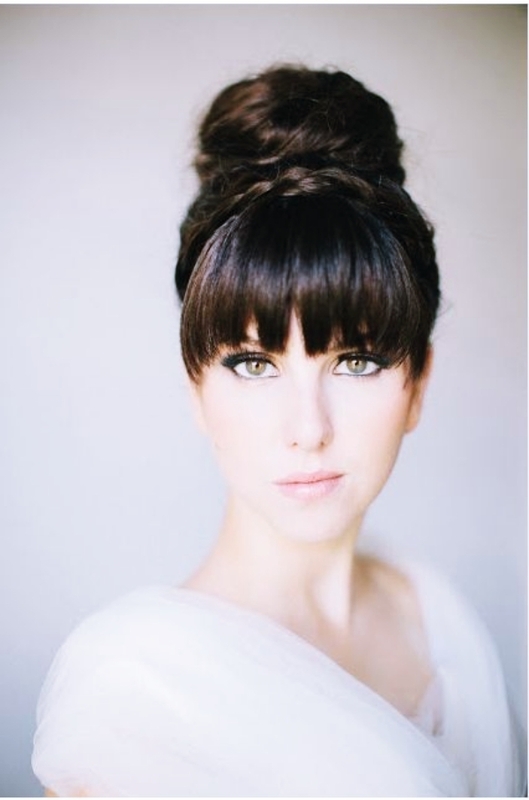 I would definitely dress my hair in a French bun on my wedding day. Gather your hair into a ponytail and then braid it, securing the end with elasticated hair band. Wrap this braid around the base of the ponytail and use pins to tuck in stray hair. Having a hard time with the front layers gone awry? Just gather them, give a few twists and then secure them on your crown with pins. 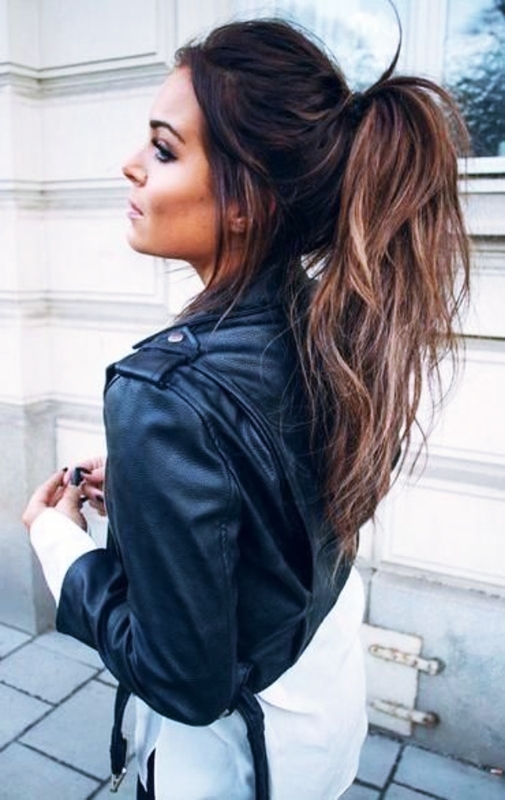 Tease the back crown section of your hair with a comb for extra volume and then tie it into a ponytail. Use a string or ribbon close to your hairline and tie it at the nape, over the pony. Slowly pull the pony out. Take two face framing sections of hair and tie the rest into a pony. Secure these sections with elastic at the nape of your neck and then take out the pony to make the hair fall loosely over the secured section. Tie your hair into a high ponytail using a boar bristle brush. Take the end of the pony in one hand. Use your other hand to separate the hair under the elastic into two parts, and then pull the pony halfway through the parting. Gently fan out the bun with both hands. Use pins on the ponytail edges to tuck them in. Short hair? Not a problem really! These new and easy hairstyles to try are guaranteed to enhance your looks and make you look quite the diva. Enjoy your newfound confidence with some great looking hair. So, wait no more and search no more. Head out to your nearest parlor right away and get your heads on these hair looks as soon as you can. Be the trendsetter and stop following others!